What's this year going to look like for you? Will you be satisfied with your earnings? Will you regret missing important family milestones because you were working to make someone else's business successful? Want to be your own boss with a team behind you to guide and help you grow? A career in real estate may be just what you need. Realtors enjoy flexibility, financial freedom and helping families live their dreams. You still have to work hard, but when you enjoy the work, its wonderful! You can work as much or as little as you'd like. This gives you the flexibility to care for your family, go to your children's activities and pursue some of your other projects. 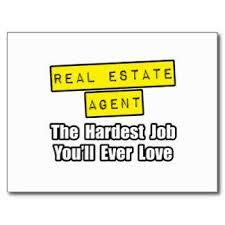 The Real Estate industry is a rewarding career. You get to help people and get paid well to do it. You meet interesting people, see beautiful homes and work from anywhere you can use your smart phone. If real estate seems like it may be a successful career for you, call Chip to schedule an informal meeting to answer your questions and see first hand what being a Realtor is really like. Call Chip Julien at (504) 368-7132 to get information on becoming a Realtor. Already in real estate? Donald Julien & Assoc., Inc. may be the place to get the knowledge, experience and the leadership you've been missing. The real estate industry changes rapidly and you need help adapting to the changes to remain successful. The Broker's door is always open at Donald Julien, Inc. We provide training for both groups and individuals to help you gain the confidence and knowledge to advance your career and increase your income. We provide quality leads and help throughout the process of the sale. Our agents collaborate with each other to ensure everybody progresses. Here, we encourage agents to hold open house at any listing in the company to gain clientele. Our team work approach allows you to work with buyers originating from in-house listing agents, advertising, or the broker. We assist with your clients when you are unable to due to illness, family emergencies and vacation. While you are growing your business, we will be right along side you to help. And when you succeed, we acknowledge and reward your efforts.